A few posts ago I talked about the two new garden beds that went in. It is time to get them finished. Why the delay though? Well the delay was In order to allow enough lawn grass to grow up in the bed to provide a nice nitrogen layer. 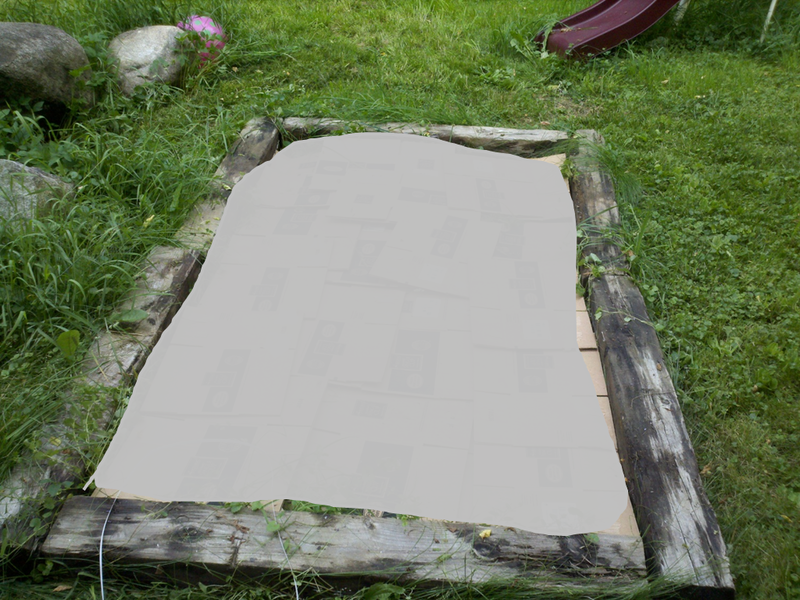 The next step is to chop and drop the over grown grass, and layer on some cardboard about the thickness of a good sized news paper. After a healthy soaking to thoroughly wet the cardboard, I will add on a layer of composted horse manure, and then some quality top soil. Then the bed gets planted and mulched. This weekend I was able to get one of the two beds filled and manured. The beds look good and the plantings will be going In tomorrow. 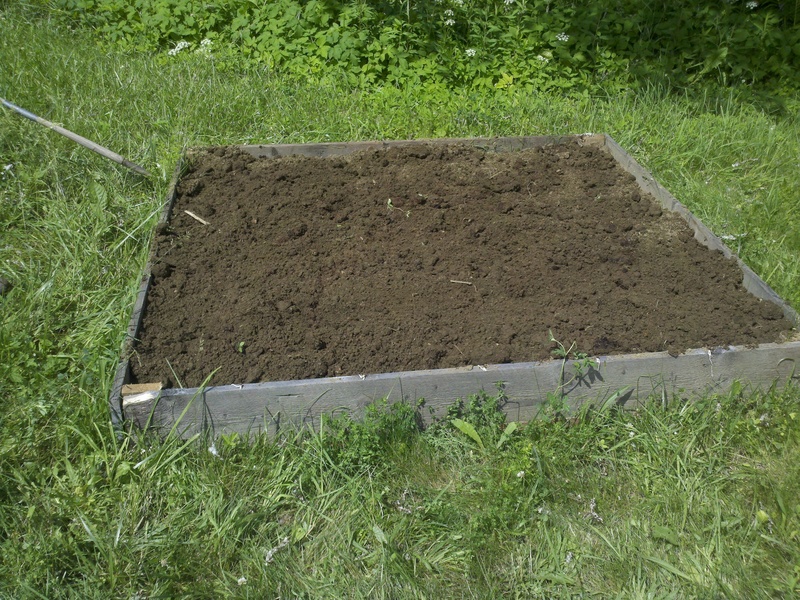 With this new bed I am not going to play around with square foot gardening. I plan to revert back to single rows. Another change with this new bed is that it will be primarily staple and storing crops. This will be required in order to turn any kind of productivity from the land this season. The second bed will be getting filled next week. It will be the same process that was done in the first bed. 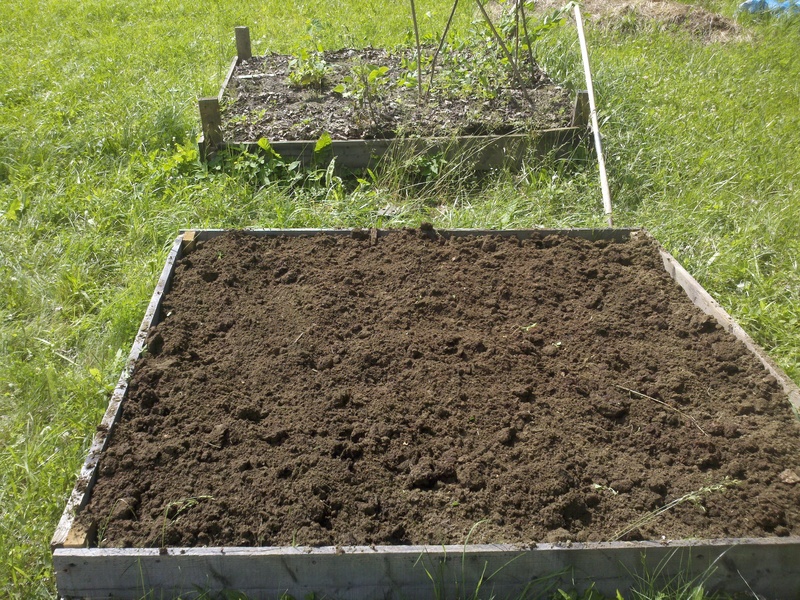 The second bed, a 4×8 will be the cellar crops. Potatoes, onions, carrots, and that sort of thing. Appologies for the grey box. I do not have permission to use the logoing for the company that i got the cardboard from, and so did not want to put it up here without that permission.